Recent studies have shown that testosterone has a protective effect in men with low testosterone levels. Even for men who have few or no symptoms of low testosterone, replacement may be essential to prevent certain conditions such as prostate cancer. It has previously been acknowledged that men with low testosterone levels may be more risk of prostate cancer but on the flip side, a common yet widely spread myth is that testosterone replacement causes prostate cancer. Men treated with testosterone may have an increase in prostate volume when treatment commences, however those men with hypogonadism (low testosterone levels) often have a smaller prostate and treatment returns it to normal size with no change in urinary symptoms. 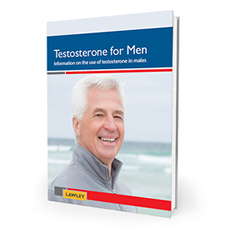 Five studies in total were presented at the 111th Annual Scientific meeting of the American Urological Association which concluded that testosterone replacement therapy either conferred protection from prostate cancer in those men with clinically low testosterone levels or showed that there was no increased risk of prostate cancer with T therapy. In one study (Relationship of Testosterone Treatment and Incident Prostate Cancer Risk Among US Veterans with Low Serum Testosterone), 157,312 US veterans with clinically confirmed low testosterone were studied. Of those treated with testosterone the rate of prostate cancer was 2.27 per 1000 person years. In the group that was not treated the incidence was higher at 2.6. Another study (Testosterone Therapy and Prostate Cancer Risk) found that there was a lower risk of aggressive prostate cancer in hypogonadal men who used testosterone replacement long term. This particular finding warrants further investigation as it could shape future guidelines for the prescribing of testosterone. The overall message from Dr Loeb at the meeting was that there may be a real risk of not treating hypogonadism, even for the man who is asymptomatic, in relation to prostate cancer risk. It is also true to say that those men on testosterone treatment would be monitored more closely for prostate cancer risk and this in itself confers an increase in detection and reduction in aggressive disease.